The need to distribute quality draught beer in expensive steel kegs that might not return for up to a year could put a crimp in craft beer exports, even with craft beers and ales growing rapidly and facing increasing international demand. 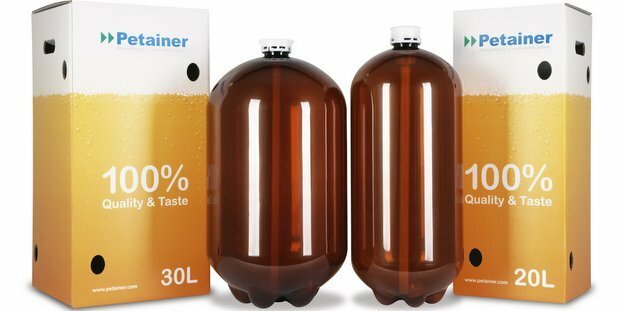 We wrote about the plastic, one-way keg option in a feature last month, and afterward, Close Brewery Rentals from the United Kingdom reached out with some press material on a new container rental product it has developed called Ekegs Fill ‘n Forget Program, which is on-demand supply of steel beer kegs. The EKeg is a 30-litre stainless steel Euro keg with an S-14 safety extractor produced by Franke Blefa in Germany and provided with an RFI (Mark3) device for retrieval. The kegs are color-branded orange so that that they are easier to pick and identify. EKeg does not work with a fixed rental rate per month as Close Brewery Rentals applies for its long-term container rental agreements for casks and kegs in the U.K.
Close Brewery Rentals retrieves EKegs from all major international beer markets. This service is included in the fee per fill. Close Brewery Rentals will provide its breweries with as many EKegs as they might need for their export markets. CBR will collect the empties from importers abroad, repatriate, clean and service them in the CBR plant. Breweries on the continent of Europe usually will charge their importers/distributors with a deposit per keg as a form of incentive to effectively collect the kegs and send them back to the exporting brewery. However, it still might take more than 12 months before breweries will have received all of their empties back. In the meantime, they will have to rent or buy extra steel kegs in order to meet their growing demand in exports or go for plastic alternatives on a temporary basis. Close Brewery Rentals Ltd is part of Close Brothers Group plc. in London. One of the top British merchants banks, listed on the London stock exchange. CBR has been providing rental solutions to craft breweries and cider producers for more than seven years.